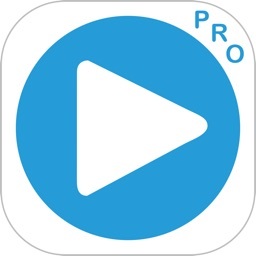 A Powerful Media Player which you can use to play various video & audio formats not supported by your Apple device. Supporting files such as; asf, divx, flv, m2ts, mpeg, mpg, mkv, mov, mp4, mp3, mss2, wma, wmv, xvid & more! Also supporting the smooth playing of files in HD (720) and FullHD (1080p), even on iPhone 4s and iPad 2. 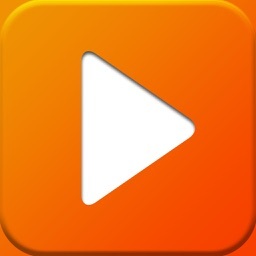 Download the app once and install on all your owed Apple devices, (iPod, iPhone & iPad). Best used with iOS10 and above. Import from Cloud storage's such as; Dropbox, Google Drive and Box. Integrated Web browser to surf the web and share the url's to friends via email and sms. Create Folders, move files in to these Folders. Passcode Lock files and Folders. - Share your saved videos to friends via Email (size restrictions apply). 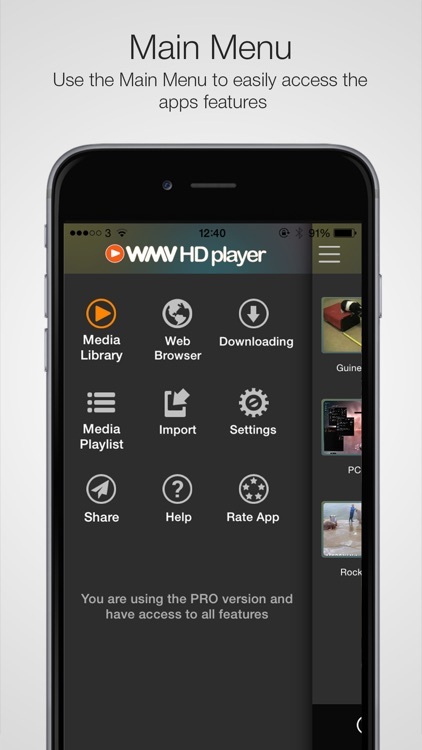 - shows all your saved media files are stored to play again instantly. Videos are shown as a thumbnail image. - with it's built-in web browser, you can surf the web just like using Safari. Bookmark favorite sites & Private browsing. Share url's to your friends via email and sms. - check the status of your files being downloaded from your Cloud Storage accounts. Multiple Downloads at once. 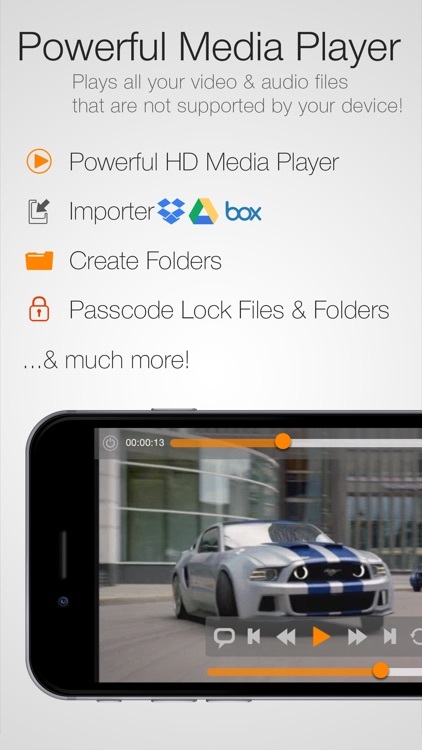 - link your Dropbox, Google Drive or Box account to Import your files. Also Import from your Camera Roll or PC to download your files to the apps Media Library. Download multiple files at once. - to enhance your experience, features include; Lock in Landscape mode, Loop videos, Private web browsing, Passcode Lock the app, Mute sound, Email support. 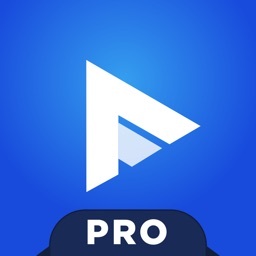 - share the love and tell your friends about the app with one click of a button. - takes you to our site: www.maccastudios.com providing you with some handy hints. Please visit www.maccastudios.com for more information and step-by-step instructions on how to use the app. - Open your Mail on your device and download the attachment. Once downloaded, click and hold down the file for a couple of seconds (like a thumb print) to bring up the option to 'Open In...' (open in wmv player). 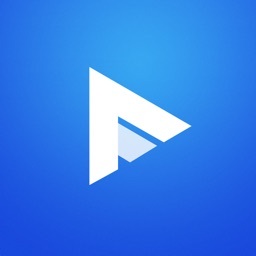 This will immediately open the app and play the video. If you come across a file that doesn't play, please email us at [email protected], so we can assist you. Normal response time is less than 12 hours. We can't assist you if you don't contact us!